Join us for the 2nd Annual Gratitude Party! We Are So Very Grateful For You! 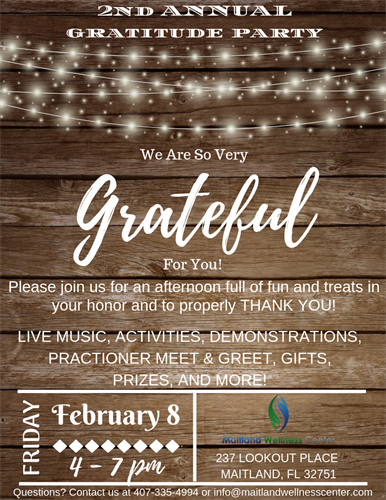 Please join us for an afternoon full of fun and treats in your honor and to properly THANK YOU!